This coming June, the Mad Titan continues his crusade for untold power! 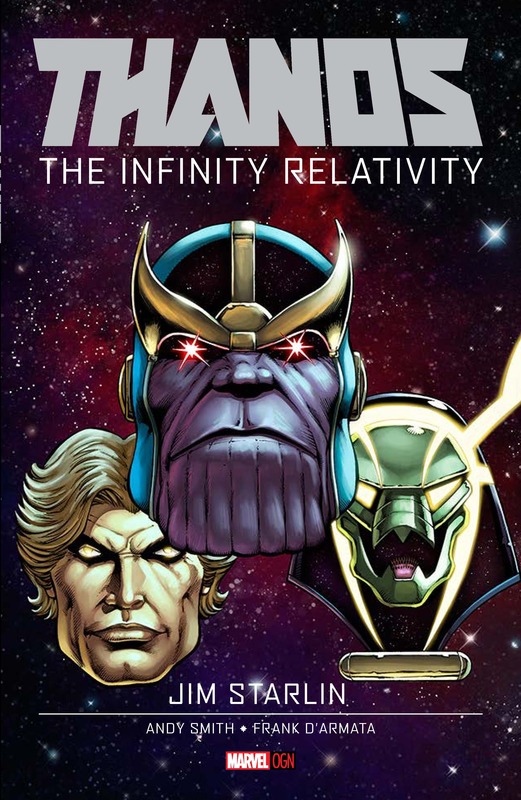 But first, Marvel is pleased to present your first look inside THANOS: THE INFINITY RELATIVITY OGN, a brand-new, full-length original graphic novel written and drawn by legendary creator Jim Starlin! 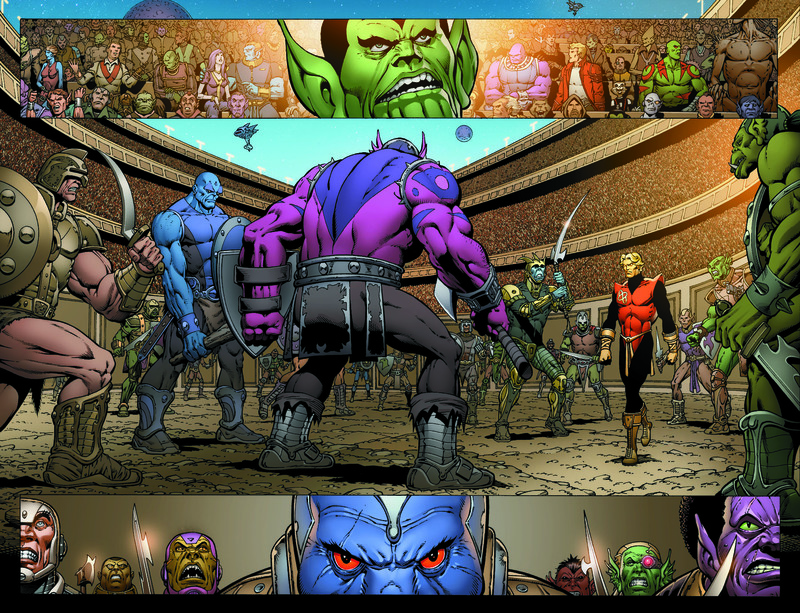 Following up 2014’s New York Times Bestseller Thanos: The Infinity Revelation, this new original graphic novel marks the second chapter in Starlin’s epic new Thanos trilogy and another stellar offering from Marvel’s all-new OGN line! Featuring the world’s most popular super heroes and super villains brought to life by the industry’s most popular creators, each Marvel OGN debuts in a high-end, oversized format featuring sophisticated packaging and design. Annihilus, lord of the Negative Zone has re-ascended to power, more dangerous and more deadly than ever before. When he and his Negative Zone armies make another, renewed assault on our universe in search of a source of infinite power, a fragile alliance of the universe’s most unlikely protectors will form to stop him. Now the Guardians of the Galaxy, Gladiator the Majestor of the Shi’ar Empire, Adam Warlock and more must unite like never before! Only Adam Warlock’s complex cycle of death and rebirth has left him more confused than ever before. What is his purpose in the universe? Why is he here? 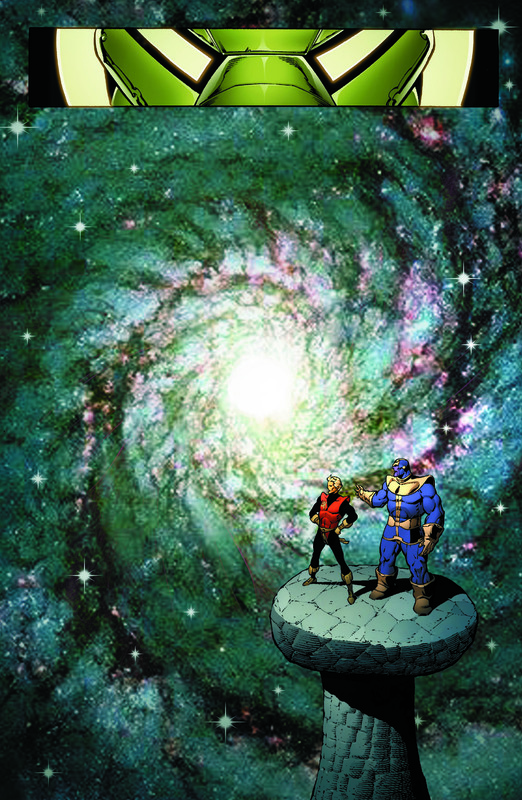 His Infinity Watch has been reunited alongside the Guardians of the Galaxy. 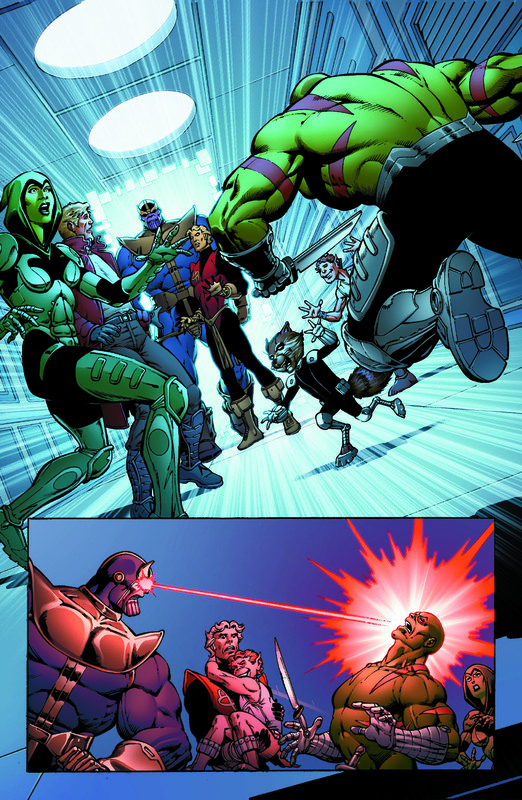 Between these two titantic teams, they may hold the key to ending the threat of Annihilus once and for all. But to do so they’ll need to enlist the help of another. Could it be that the fate of everything lies in the hands…of Thanos? 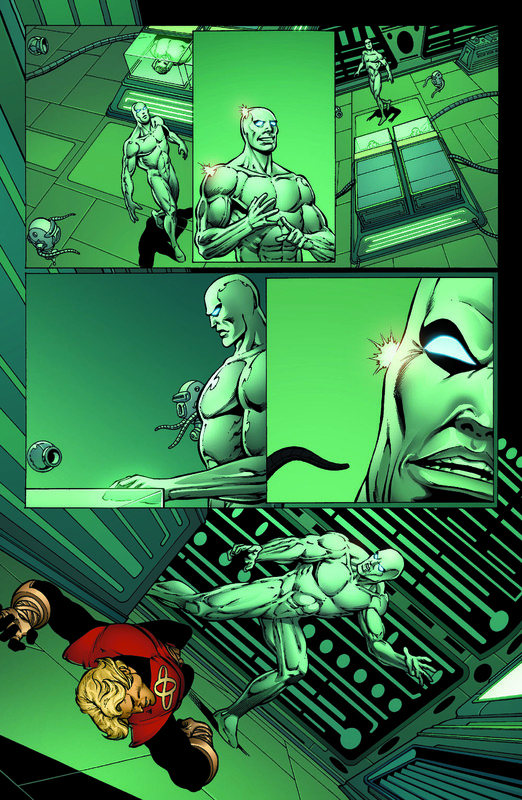 Find out when comic legend Jim Starlin returns for the next chapter in his cosmic epic this coming June for THANOS: THE INFINITY RELATIVITY OGN!